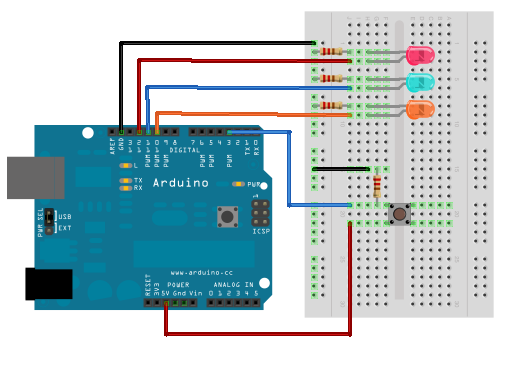 The following circuit and code shows an example of a decision maker made with LEDs. 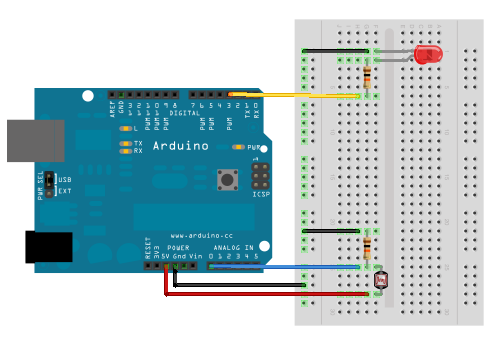 Pushing the button will make the LEDs flash in a random order for 1 second. Then displaying the random decision where one LED lights up for 3 seconds and then reseting. 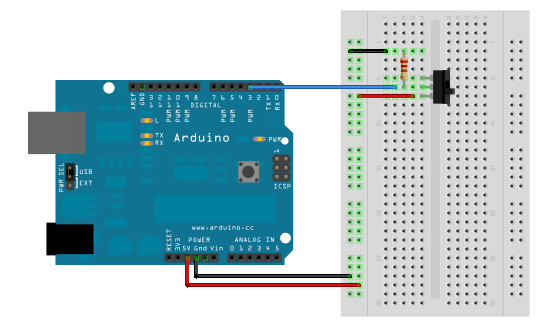 How to hook up a Flexi Force sensor with Arduino and read out the values. 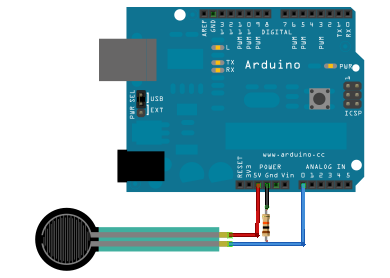 See example of how to use a Flexi Force sensor with Arduino. 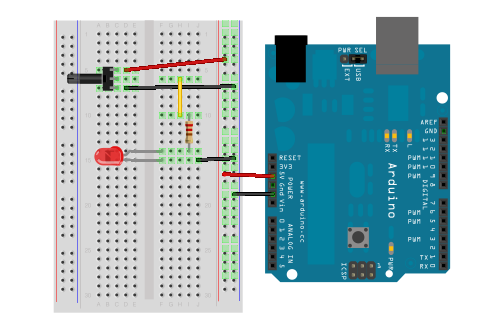 This hack allows you to display messages to a standard Amplus LED Message Display from Clas Ohlsson. The display is controlled by a remote control and via a RJ14 cable plugged into the screen. Serial data is transmitted from cable to the screen. The LED Message display expects the message you pass to it to be encrypted with a check sum. With the help of Rasmus blog post I could generate this checksum in Arduino. I turned his Perl code into Arduino code that you can see below. 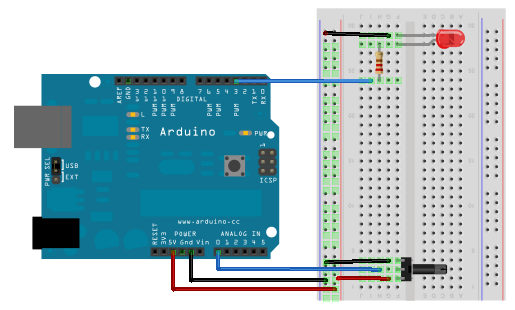 Download my Arduino library on Github to try this out. 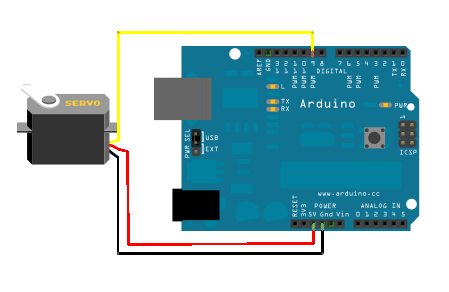 The servo motor can be controlled by using the servo library(Servo.h) in Arduino IDE. 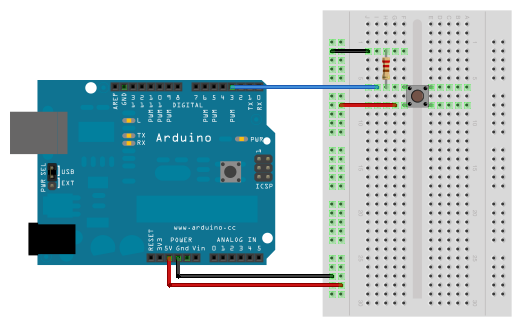 Plug in the control wire of the servo motor into one of the PWM pins. Attach the servo object to that pin. To rotate the servo motor pass in a number between 0 and 180. The servo motor can only move up to 180 degrees. Control Omron G5LE-1 relay that requires 12V to switch the relay on and off. The relay it self is turning a 220VAC circuit on and off. 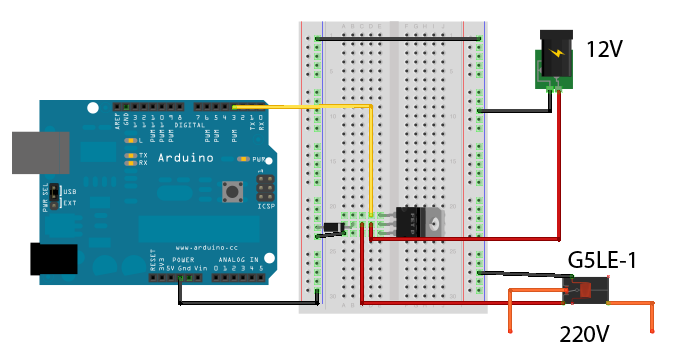 You can easly control the current running through your LED by adding a potentiometer as part of your circuit. 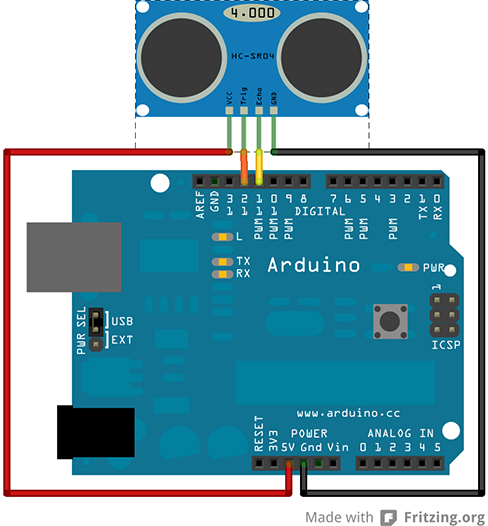 To control the LED with Arduino programming you attach the potentiometer to your analog in and let your Arduino program decide how much to dim the LED depending on the input you get from the potentiometer. The input from analogRead returns a value between 0 and 1023. The analogWrite takes values between 0 and 255. 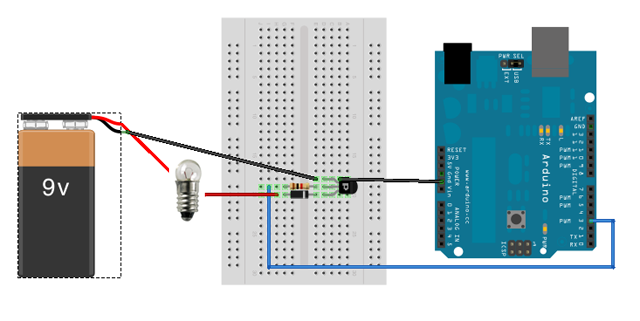 The code below show you have to convert your analog in value to make your LED shine as bright as possible when the potentiometer is fully on.